Star Wars fans, the moment you’ve been waiting for is here. 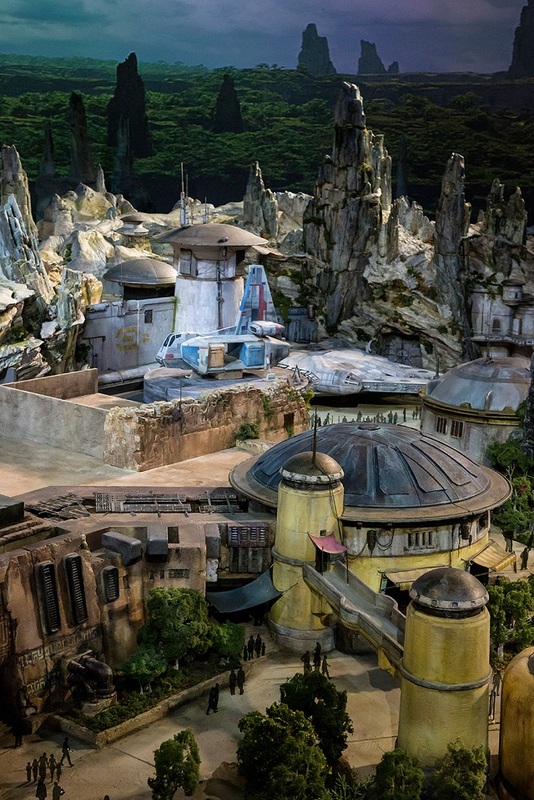 Disney has finally pulled back the curtains and unveiled the first look into its highly anticipated Star Wars lands! 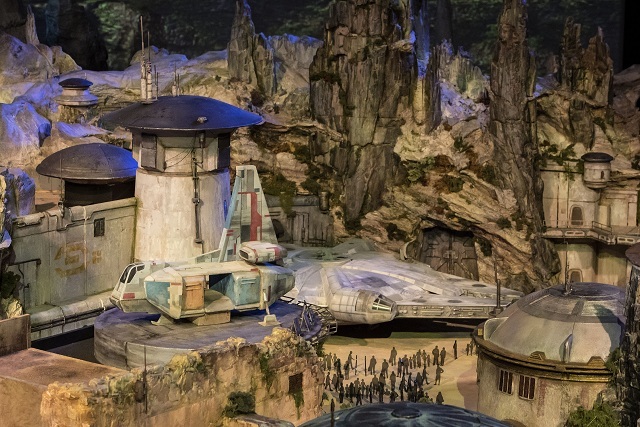 In case you’ve been out of the loop, Disney is currently building a Star Wars­­-themed land just for Disneyland and Disneyland in California and Florida. The themed attractions named ‘Star Wars: Galaxy’s Edge’ are due to open in 2019 at Disneyland in Anaheim and Disney World in Orlando. 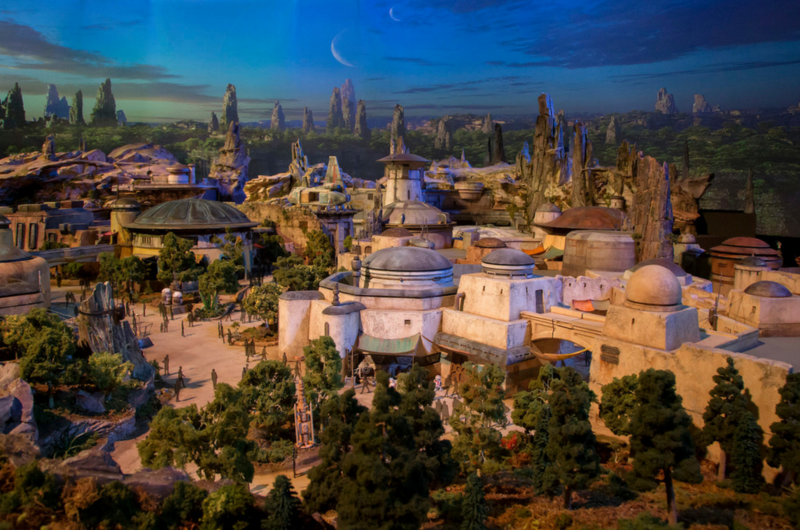 Covering 14 acres of land, visitors will be greeted by characters like BB-8, Chewbacca, R2-D2 and Rex all around Galaxy’s Edge. In two of the main attractions at Star Wars lands, fans will have the opportunity to captain the Millennium Falcon and go on a secret mission, and experience an intense battle between the First Order and the Resistance. 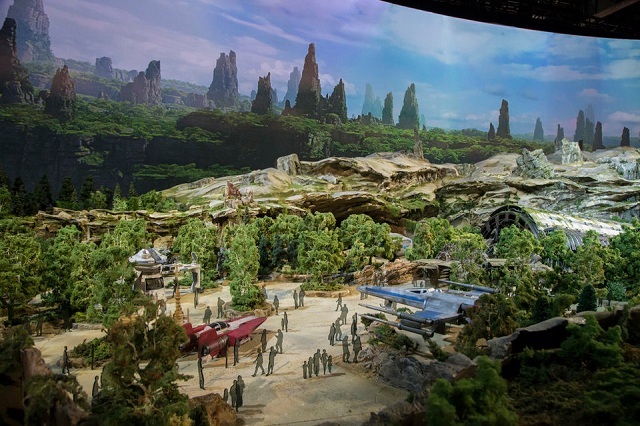 Disney revealed the giant 50ft 3D model of the upcoming lands at D23 Expo held at the Anaheim Convention Centre. Disney Parks and Resorts chairman Bob Chapek said that this is the company’s most ambitious land they’ve built to date and Disney’s largest single-themed expansion into the parks, ever. We can guarantee that you’ll definitely want to step into this park even if you’re not a Star Wars fan. Just look at the details of the model of what’s to come!